Join the Blab bandwagon and bypass the rookie phase. 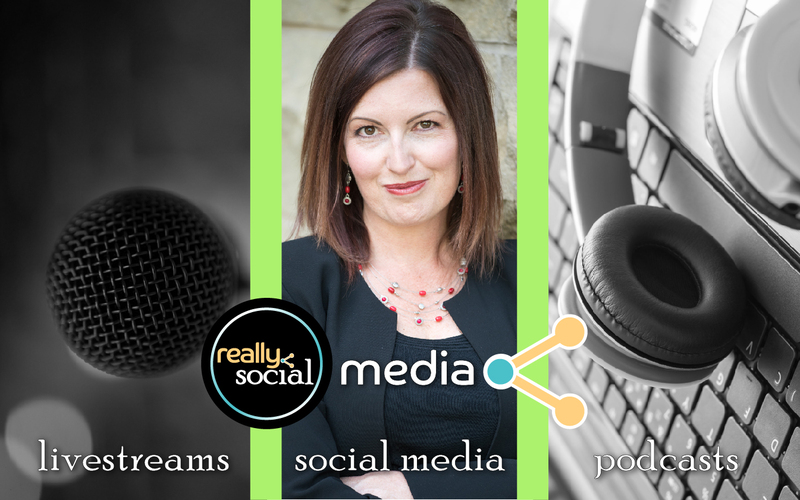 You may have joined or sat in on a Blab, but have you set up your Blab? Just as with any other platform (especially those which are, like Blab, in beta mode), there are some ins and outs you should know before you take the plunge. In true Rachel-fashion, I learn best by doing and learned the following tips to share with you. Just as with any content title, your Blab’s name should immediately clue in the reader to the topic. However, brevity matters even more with Blab since the name becomes the path of your Blab’s URL (website address). For instance, if you name your Blab, “Julie’s Review of The Force Awakens from Opening Night,” the link to your Blab will end with something like this: /julie-smith-julie-s-review-of-the-force-awakens-from-opening-night. Blab will use your first and last name from your profile and then every word of your Blab’s name to construct the path, so name your Blab judiciously. You have the option of uploading an image to be the visual tile of your Blab in the library of upcoming sessions, and I highly recommend taking the time to create an image. At the time of this post, Blab’s custom image dimensions are 1000 pixels wide by 450 pixels tall. When you design your image, leave the bottom left corner of your design free from text or a busy background. Once you create your Blab, the platform will overlay the Blab title over your image in that lower left region. If you leave it open from bottom left corner to approximately the center of the image, you should be set. Do you need help with Blab? I’m ready to help! If you create the Blab, you are automatically designated as the Blab’s host. However, you can have more than one! If you plan to co-host with another user, provide them with the link to the Blab and ask them to subscribe. Once they have done so, you’ll see that update in the right sidebar of the Blab. You can then click on their Blab user name and, in the pop-up profile box, click the H+ icon in the top left corner to add them as a co-host. Additionally, you don’t have to wait for the Blab to start to get some questions lined up. The right sidebar is active as soon as a Blab is scheduled or started, so populate some anticipated questions into the Blab ahead of time. As the Blab Host, you will be provided with the embed code of an iframe to post your Blab in your own blog or website. This is a great feature, as it allows you to share out your Blab directly from your own domain and your audience can watch the Blab directly from your landing page of choice. If your Blab is scheduled into the future, the countdown to the Blab will appear (quite nicely) on your landing page until it begins. One last heads-up: Let’s say you need to change your scheduled Blab. If you change anything other than the Blab name, a new URL will be generated for your Blab with a version number at the end of the URL path (example: blab.im/rachel-moore-how-to-blab-1). While any prior versions of your Blab link will be redirected to the new link, you may want to check any social posts you have scheduled to share out the Blab link to ensure the post is populating your Blab’s info correctly after your update. Go be a Blab boss! Have a great time using one of the most quickly-adopted social media tools out there. If you’d like a visual tutorial for setting up a Blab, I cover that in the video below (which is under 15 minutes). Also let me know how I can help you get started. Have fun!